The unit is compulsory for all newly enrolled students, and your completion certificate must be presented with your first assignment. Returning students will also find it a useful resource. If you are required to complete AIM you will find the link listed with your units when you log into Moodle. You may start AIM at any time. Once you have satisfactorily completed AIM, options will appear for printing your completion certificate, and the AIM link will disappear from Moodle. Please check the AIM module for more instructions. Login to Moodle and explore the information for yourself - it is self-paced and easy to use. 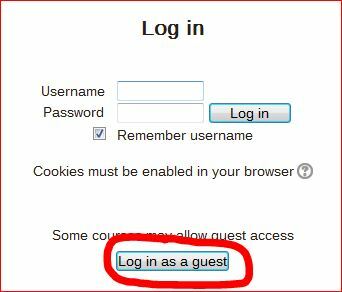 You can access AIM as a guest if you are a returning student. Click to Moodle and select Log in as a Guest to be able to access this useful course. This course is not compulsory, but is provided here to help you develop skills to complete assignments efficiently and to a higher standard. Click to Moodle and select Log in as a Guest to access this course.